A pleasing color blend gives this rug a rich and subtle look that says it all - class! These rugs are hand-knotted into lush pile carpets with approximately 80 knots to the square inch using high quality New Zealand wool and colorfast Swiss dyes. 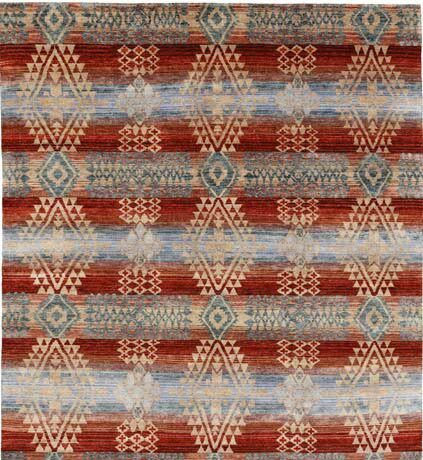 The handspun wools yield varying diameters, so when dyed a pleasing variegated color is achieved, giving the completed rug a rich and subtle blend of colors.